Oh, Mary Poppins, how we’ve missed you. 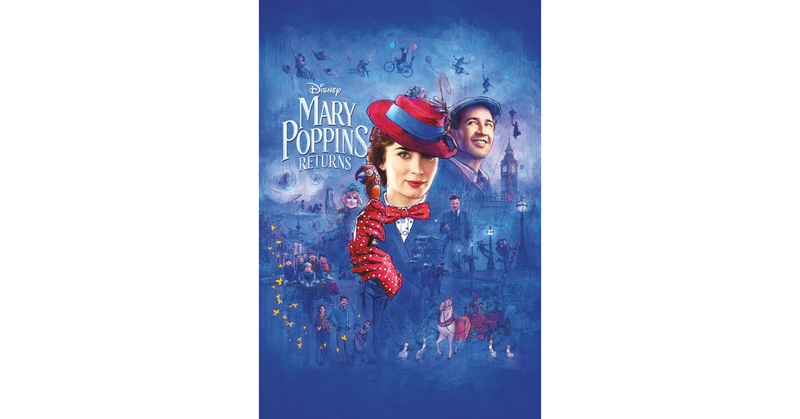 In anticipation of Mary Poppins Returns, we collaborated with the film’s three-time Academy Award–winning costume designer Sandy Powell on some looks inspired by the film’s iconic characters. The pieces are completely modern, but with nods to the film’s early 20th-century London style. 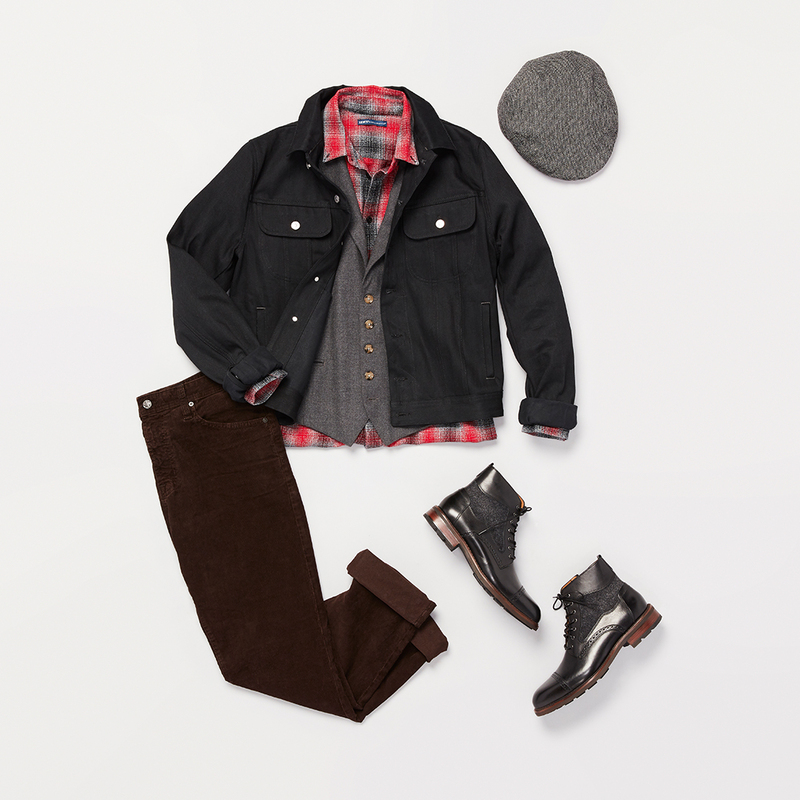 See two looks Sandy curated with Lin-Manuel Miranda’s character Jack in mind. 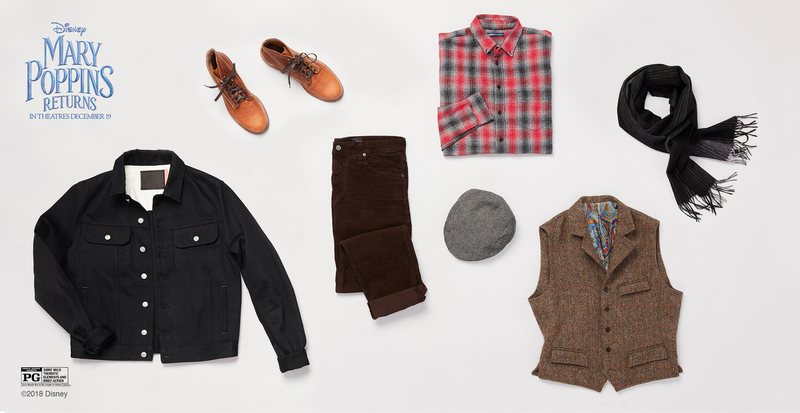 The base of all these looks stems from fall and winter essentials, such as long-sleeve button-downs and dark trousers. Sandy has chosen three different checked shirts in various colors—a bright pop in an otherwise neutral and earthy palette. And there are lots of options when it comes to pants. A classic jean in dark blue or black won’t steer you wrong, but Sandy recommends a textured trouser, like cords, to keep your outfit more authentic. A polished leather boot grounds everything in sophistication, in either brown or black. Accessories are really what distinguish a Mary Poppins–inspired look from the rest of your closet. A driving cap (or flat cap) is often made from wool or tweed, and was a popular choice of young men in the era. 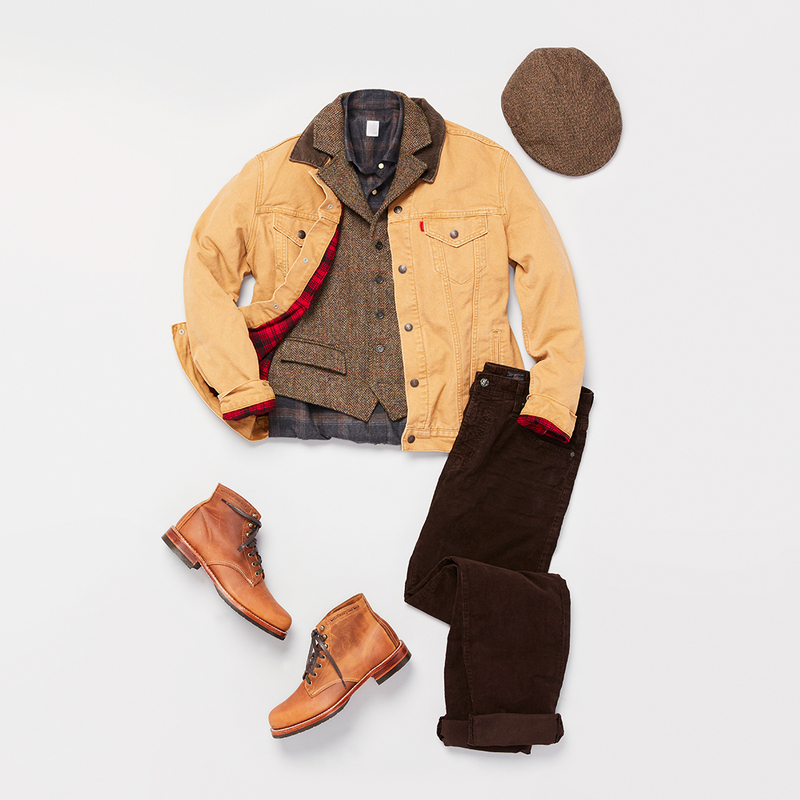 But trends are often cyclical, so sporting a cap so sporting a cap or custom vest nowadays is just as much a nod to style now as it was back in the 1920s.